Cheltenham was originally designed as a town for wealthy Londoners to retreat to in the 18th and 19th century, and it is also a great place to visit today. As a town, it still has a very strong tourist industry, and as a result, you will find great places to stay, eat and shop, and lots of things to do. It can also make for a good base if you want to explore the Cotswolds but want to stay in a place with plenty of the amenities the more rural villages in the area can’t offer you. 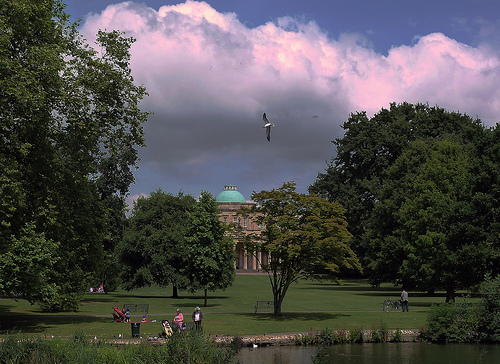 Here, we take a look at what makes Cheltenham a good place to go to, and where to stay and what to do when you are there. Cheltenham was originally intended as a place for rich vacationers, and so there are still a lot of very luxurious places you can stay at. You can choose five star hotels with excellent cuisine, or spa retreats with all kinds of luxuries, including salon treatments and health clubs. Of course, these days not everyone who takes a holiday is a wealthy aristocrat, and Cheltenham has moved with the times, so you can also find hotels at a more ordinary standard, along with bed and breakfasts and even camping facilities. This essentially means if you are planning to stay more than a day, you will be well catered for whatever you are looking to spend. As with a lot of UK places outside of coastal resorts, the attractions featured in Cheltenham are not generally weather dependent, so you should not find too much difference in price and availability whatever time of year you want to book a place. A lot of people like to stay in Cheltenham as it offers a good base for exploring the Cotswolds and other nice towns like Gloucester and Tewkesbury, however there is actually quite a lot to see in the town of Cheltenham itself. One of the most famous landmarks is the Neptune Fountain. Built in 1893, this beautiful fountain depicting the Roman god Neptune is thought to be modelled on classical Italian fountains and statues, like the Trevi Fountain in Rome and the Neptune Fountain in Bologna. It is located on the promenade, and is a nice, relatively historical place to stop and take a look. If you are interested in galleries and museums, Cheltenham’s Wilson Art Gallery and Museum is a great place to discover. It is a large gallery with a lot of separate exhibits, some of which are permanent collections owned by the gallery and others which are temporary, on rotation between other museums. This means there is always something new and interesting to see, whatever style of art most interests you. Cheltenham also has some great pubs, cafes and shops, so if you visit for the day or for a short break, simply exploring the centre can be a really pleasant time. You can find some great boutiques and gift shops around if you want to take back something unique from your visit.